Since the ancient Sumerian calendar that recorded a new month by the sighting of a new moon, calendars both physical and digital have helped us keep track of important moments. Today, we're bringing the new Google Calendar app to the iPhone, so you can spend less time managing your day and more time getting stuff done. 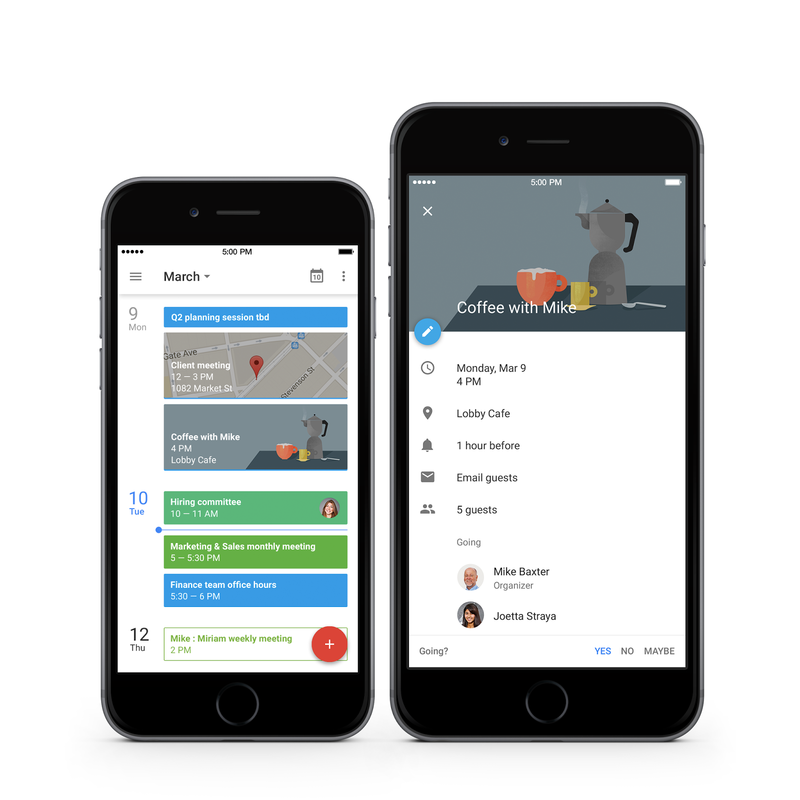 The new Google Calendar app for iPhone comes with Assists, which make suggestions that save you time when creating events. For example, if you regularly meet with your teammate Rena for coffee and a catchup, Calendar can quickly suggest that entire event when you type ‘c-o-f-’. With Schedule View, a quick glance gives you a snapshot of how your day is shaping up with images and maps that make your calendar easy to scan. To get started simply login with your Google account, and with one click, the new app works with all the other calendars you’ve already set up on your iPhone. With Google Apps for Work, you can update your team about how that client meeting just went from Gmail, chat with your manager in Hangouts about specific questions the client had, add those questions to a Google document so the team can start researching back at the office, and now, schedule the follow-up meeting in Calendar, all from your iPhone. And if you end up leaving your phone in the taxi on the way back to the office, Google Apps Mobile Management has you covered. Apps Mobile Management allows admins to set up mobile security policies, like requiring passwords and remotely wiping data when necessary. And it’s included with Google Apps and Google Drive for Work, so you can keep your work data safe. 10 minutes and counting until your next meeting . . . download the new Google Calendar app for iPhone before it starts.